Perdido Skye offers three things in abundance: location, convenience, and affordability. This development is located directly on the Gulf where you can walk right out of onto the white sands below with no street to cross. This condo is located right in the heart of Perdido Key. You can walk across the street for your morning coffee once you finish your walk on the beach. 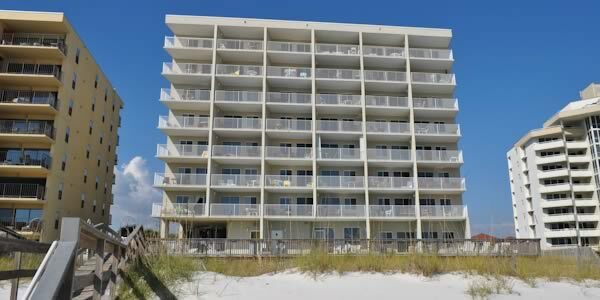 As for affordability, this condo is hands down the most affordable gulf front complex in Perdido Key. Plan to spend the afternoons relaxing at the beachside swimming pool which is heated seasonally. 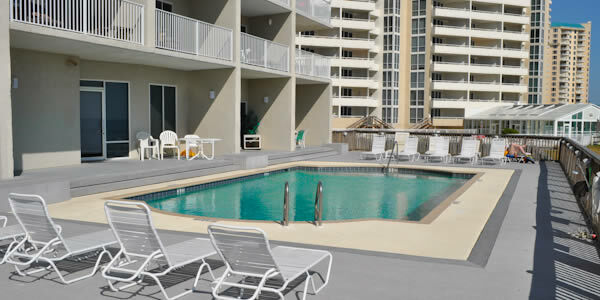 There is a beach walkover off the pool deck and beach service is provided for a fee. Shopping, restaurants, entertainment and festival locations are all are convenient for you here. NAS is nearby so be sure to keep an eye out for the Blue Angels practicing for upcoming air shows. With so many options, you will want to start planning now. Perdido Skye is a popular property among investors in Perdido Key because of its location, affordability and rental histories. Your guests can feel the waterfront breezes and experience the sound of the waves without leaving the condo. Vacation renters come back to this affordable vacation spot year after year for a beach retreat that will not break their budget. These one bedroom units have private balconies and offer great unobstructed views of the beach and the gulf. Most of the units have built in bunk bed as well to accommodate the kids. Have a look at the Perdido Skye Market Report, it allows buyers to compare current listings, pending sales, and recent transactions in Perdido Skye over the past 18 months. Potential buyers and sellers can utilize this report to assist them in ascertaining a current market value of a specific condo unit.